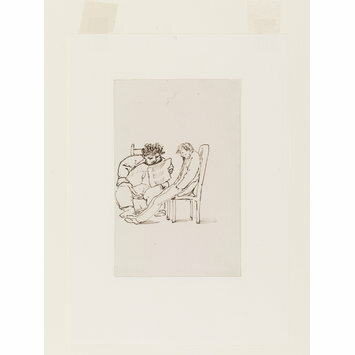 This little sketch records one of the great close friendships in British art, that of Burne-Jones and William Morris. They first met in 1853 as undergraduates at Exeter College, Oxford, and were to collaborate on many artistic and decorative projects. 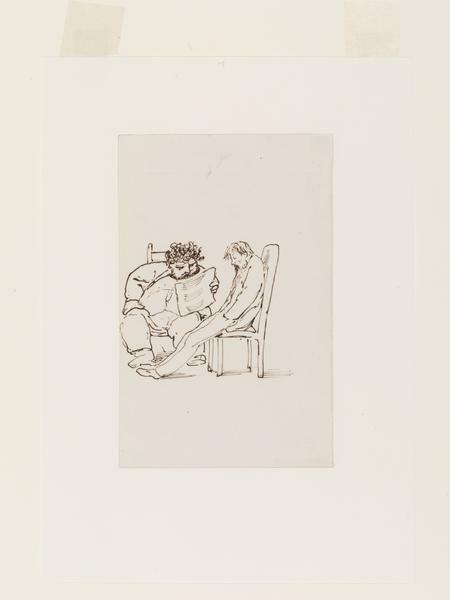 In this caricature, Burne-Jones celebrates his friend's love of the written and spoken word while he shows himself apparently asleep. The expressive manner in which line is manipulated is outstanding. 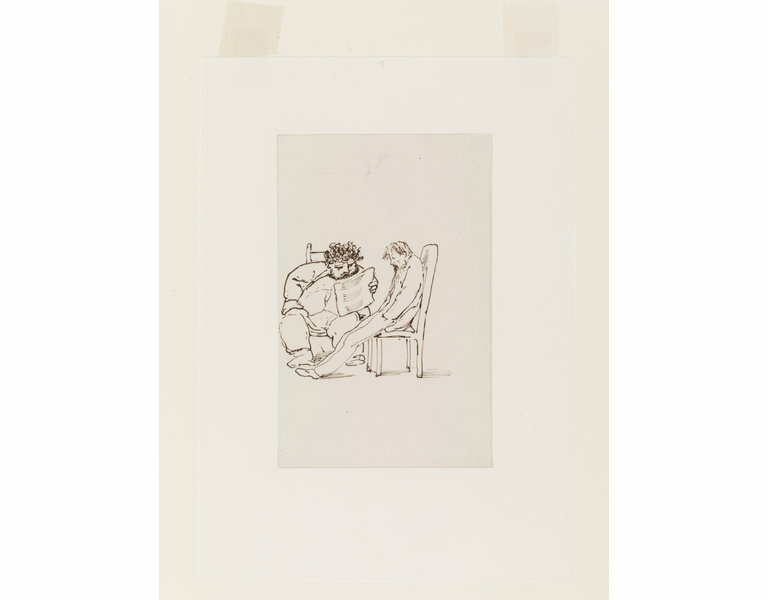 Line drawing of a fat man with a shock of curly hair sitting on a chair and facing forwards. To the right a bearded man facing left, seated, with legs out stretched and his hands in his pockets.